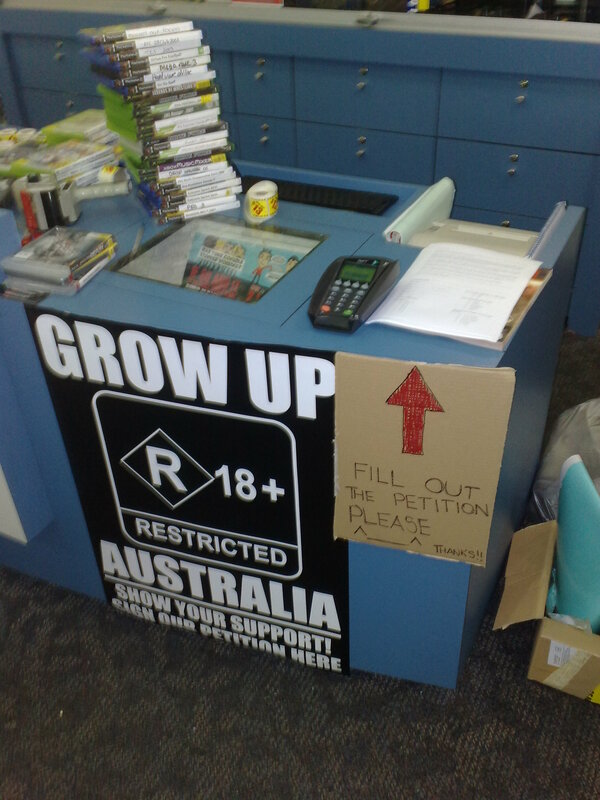 EB Games Australia has joined forces with Grow up Australia and thrown their support behind the introduction of an R18+ rating for video games. Grow up Australia posters are prominently displayed in every EB store across Australia and a petition is available to sign. In addition to their in-store campaign EB are providing a link from their website to Grow up Australia’s online Submission form so that their customers can participate in the Governments Public Consultation: An R18+ Classification for Computer Games. The online submission form will be available until the 14th of February. While I’m not the biggest fan of EB Games stores due to their prices, this is fantastic publicity and I congratulate them for taking this step! EB are very prolific in Australia and this will get the issue the attention it needs from the more general public. How many parents walk into EB Games shopping for a game for their children? I’d guess at many. You really think parents want this kind of material for their kids! Rubbish. If the activities shown in these r18+ computer games are not appropriate activites in our society why should they be in games. Escpecially if kids have access to them. the Australian government is such a load of bull@#!$ because its not like our children are going out and doing these things. i mean seriously do we see 12 year old kids running around killing people right after they had just played grand theft auto, come on no one is that stupid!!! and another thing why the hell would we not have video game cause such violent can relive stress and provide relaxation from the outside world.